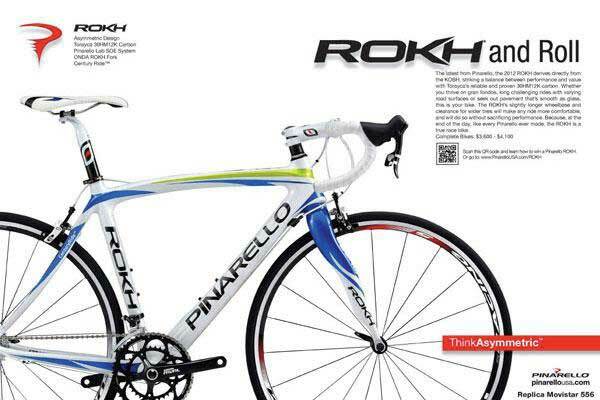 The Pinarello that surfaced yesterday in a Team SKY video is being referred to as the Dogma2 according to sources. 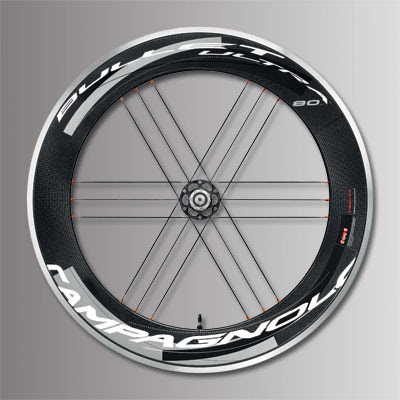 Word is that the Dogma2 will start to become available to the public at the beginning of 2012. No written technical details that I have seen yet. Wilier will have a live stream unveiling of their new Zero.7 frameset tomorrow, Friday, July 1st, at 1630 (GMT +2; 1230 EDT-Eastern Daylight Time). 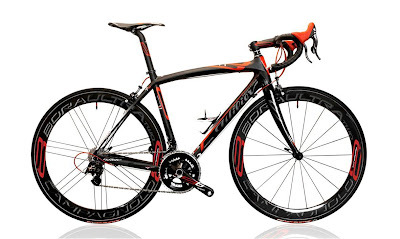 The site is www.wilier.it/livezero7. There is a "Register Me for the Event" button on their website but it's not working as I write this. 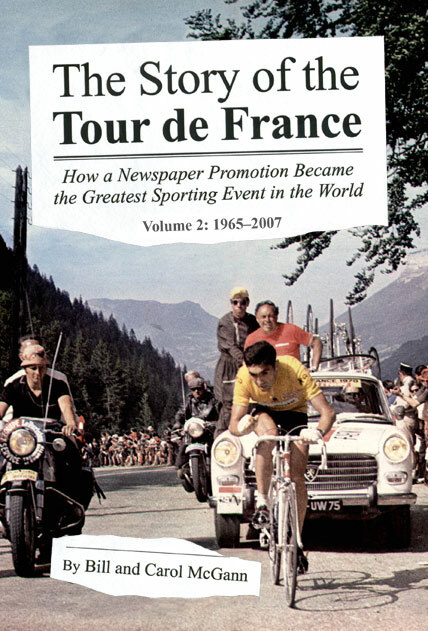 On Saturday we will also launch another Italian Cycling Journal contest, this one for an autographed set of "The Story of the Tour de France", Volumes I and II by Bill and Carol McGann. All the questions will be related to Italian riders in the Tour de France. Bill has provided 14 questions to challenge you. The rules are simple: first 14 correct answers (which Bill has provided and you must match) receives the books. 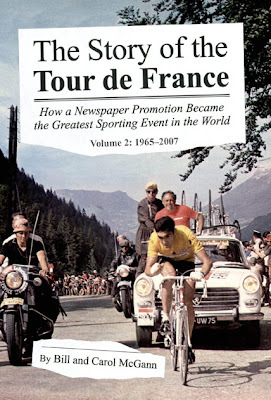 "After forty years of study on the subject, I can with some confidence say Bill and Carol McGann's The Story of the Tour de France is the finest such work ever produced in the English language, and perhaps in any. Most of my preferred references are in French, one runs to over 800 pages, yet the McGann's opus revealed information new to me in almost every paragraph. His research has been not only impeccable, but insightful. After all, it is a huge subject, one that can overwhelm the reader with details on top of details on top of details. The great asset here is the choice of significant details. 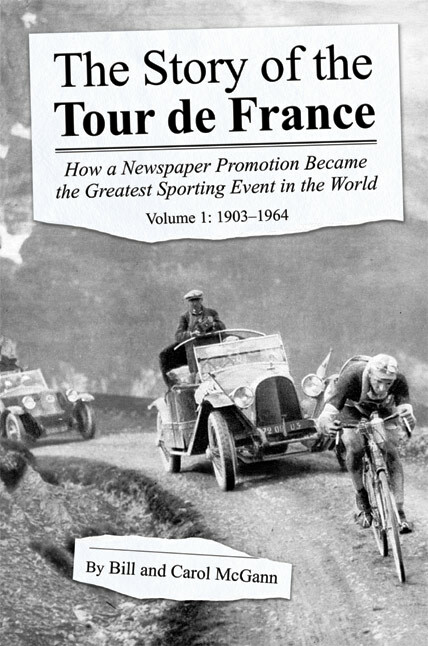 Where else could I have discovered the 1927 Tour was the first since 1903 to start without a former winner in its ranks? Anger of some sort formed a portion of Lance Armstrong's amazing drive to win, but he never matched Henri Pélissier's ability to offend. Once Pélissier stopped to respond to a "call of nature" and the whole peloton attacked just to get even. McGann lavishes an entire paragraph on a stage sprint in the 1925 Tour because it was such a Who's Who of the time. What better way to remember the Armstrongs and Ullrichs and Bassos of 80 years ago? Patterns within patterns—personalities, capabilities, technologies, route changes, loyalties, jealousies and feuds, financial interests, even political influences—all are masterfully weaved here into a giant fugue that points past itself to even larger portents. For much of human history most people have struggled to satisfy the minimum necessities of food, clothing, and shelter. In the centuries B.C. the Greeks managed to satisfy those necessities sufficiently well they were able to turn their attention to what it means to be truly human. Among other things this meant activity with no ulterior purpose, i.e. play. A 2,000 year hiatus had to be endured before humanity could find itself on this level again. In the late nineteenth century many forms of play were invented, but for us bike fans none were as interesting as those on two wheels. The Tour de France is an ultimate expression of the will to play. The Tour's current popularity is no accident. 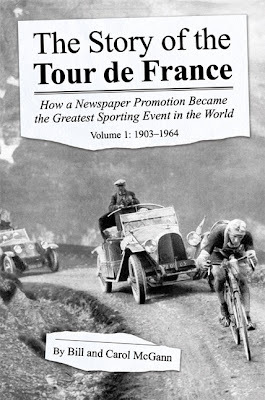 This book reveals the endless experimentation the Tour endured before arriving at the modern synthesis of flat, mountain, and time trial stages necessary to provide the kind of contest we've come to expect, and of course it's a process that will never end. Nor should it be forgotten what a debt we owe to France and its culture for this amazing invention. Nowhere else did the necessary synthesis emerge. The U.S. may beat the world to the moon, but when it comes to how to make life on earth worth living one could do worse than emulate the French. The recent Tours of Georgia and California imply as much. This is a book you will want to read and read. This is a book you will take to bed at night, and after you've turned out the light your dreams will be filled with the images conjured here. We can hardly thank Mr. McGann enough for his combination of clear prose revealing careful research about our favorite subject." If you wish to purchase the books click here. 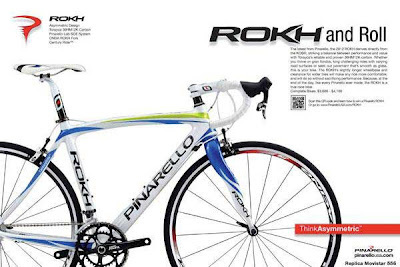 Take a close look at the fork design and fork/head tube junction on the Team Sky bikes by Pinarello that will be used in the Tour de France (begins Saturday!). 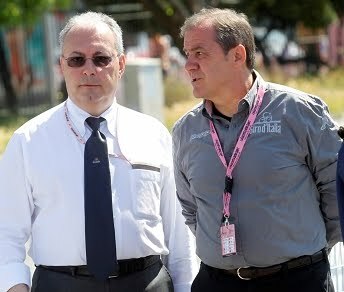 As we had anticipated, Angelo Zomegnan will no longer be the Director of the Giro d'Italia. His contract has been terminated and now he will become part of the organizing body for the World Championships, Road, in Florence in 2013. In his place the senior management of the RCS will create a pool of experts to manage the race, and avoid centralizing power. Leonardo Bertagnolli: 33 years old, Italy. 15 victories in career, 1 Tour de France. Grega Bole: 26 years old, Slovenia. 11 victories in career, 1 Tour de France. Slovenian national championship. Matteo Bono: 27 years old, Italy. 2 victories in career, 1 Tour de France. 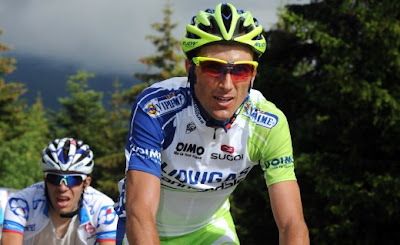 Damiano Cunego: 29 years old, Italy. 45 victories in career, 3 Tour de France with 1 victory in the young riders classification. Danilo Hondo: 37 years old, Germany. victories, 3 Tour de France. Denys Kostyuk: 29 years old, Ukraine. 3 victories in career, debut in Tour de France. David Loosli: 31 years old, Switzerland. 1 victory in career, 3 Tour de France. Adriano Malori: 23 years old, Italy. 2 victories, 1 Tour de France. Time trial Italian champion. Alessandro Petacchi: 37 years old, Italy. 180 victories in career, 3 Tour de France with 6 stage victories and 1 victory in the points classification. As substitutes: Dmytro Krivtsov (Ukraine) and Andrey Kashechkin (Kazakhstan)were selected. 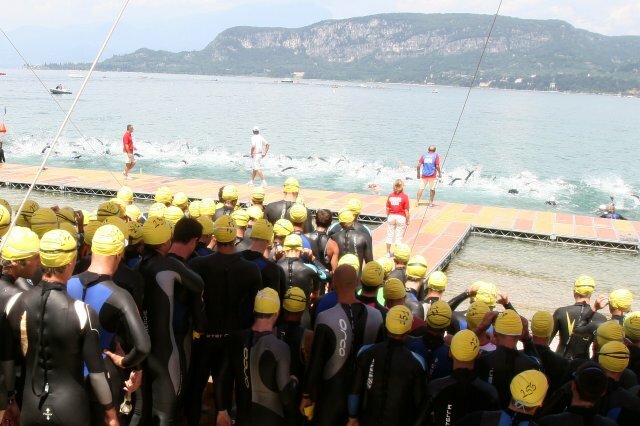 In the team staff, in addition to the sport directors Maini and Lerici, there will be the sport manager Damiani, the doctors Beltemacchi and De Grandi, the mechanics Baron, Bortoluzzo, Kunchenko and Pengo, the masseurs Borgognoni, Capelli, Inselvini, Napolitano and Padlo, the driver Bozzolo and the communication managers Appiani and Carlo Saronni. 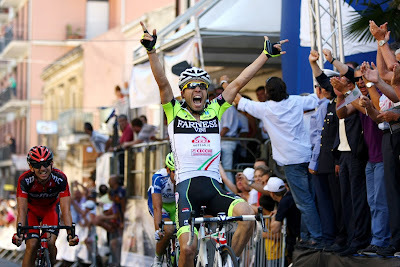 Sicilian Giovanni Visconti (Farnese Vini) won his third road race title among professionals at the end of a thrilling sprint in Acicatena, Sicily. After 208.8 km race (5h34m46s, average of 37.423 km/h), Visconti won the sprint at the end of the straight on Via Vittorio Emanuele proceeding Mauro Santambrogio (BMC Racing Team) and Simone Ponzi (Liquigas Cannondale). Damiano Cunego, one of the favorites, lost contact with the lead group on the penultimate lap. "Very tough race, I could not be competitive when things began to become important," Cunego explained. "I suffered due to the heat and the long climb, suddenly I had no more energies". 7. Ivan Santaromita at 13"
8. Alessandro Ballan at 32"
9. Fortunato Baliani at 2'36"
10. Luca Paolini at 3'22"
Two time Giro d'Italia winner Gilberto Simoni, "Gibo", is auctioning several items as a fundraiser for cystic fibrosis. The auction ends July 10th. Included in the auction is a bike from the 2005 Giro d'Italia, a personalized CANNONDALE, size S-M 54; Campagnolo Record; Mavic; SRM (with discharged battery); FSA Plasma. The price is currently at 3,600 Euro. Photos of all the items here, click on "Dettaglio" to enlarge any image. "We’ve got an intense month ahead but our competitive spirit will overcome any difficulties." This is how Liquigas-Cannondale team manager Roberto Amadio today launched the challenge for the Tour de France, which starts on Saturday, 2nd July. "I expect the team to be tough, gutsy and determined to compete as a main contender in what is one of the most important races in the world," Amadio continued. "This is the role that Liquigas-Cannondale can and must play. Everyone knows the goals: do the race justice day after day and aim for the best possible result in the general classification. With a captain like Ivan Basso we know we’ve got a real shot at the podium and the yellow jersey. Contador and Andy Schleck have proved they’re the strongest but Ivan has just as much experience and class. He hasn’t been able to perform to his full potential until now though due to physical problems and injuries. But I’m convinced Ivan, and his teammates, will treat us to a world-class performance during the Tour." The job of captain and team leader goes to Ivan Basso, while the team’s two directeurs sportifs, Stefano Zanatta and Dario Mariuzzo, have selected eight teammates who can provide invaluable support in every phase of the race and also chase down a stage win if and when the opportunity arises: Italians Daniel Oss, Alessandro Vanotti, Paolo Longo Borghini and Fabio Sabatini; the Polish trio of Sylwester Szmyd, Maciej Bodnar and Maciej Paterski; and the young Slovenian rider Kristijan Koren. "You need athletic strength and an incredible spirit of sacrifice to race in the Tour de France," said Zanatta. "That’s why we have chosen a group of riders in optimum physical condition who are ready to give everything they’ve got every day to support Basso and to fight for victory. We’ve got a group of youngsters like Oss, Koren, Bodnar, Paterski and Sabatini who are itching to make their mark and also guarantee us a sound level of experience. Vanotti and Longo Borghini are seasoned racers who know how to move within the group and manage even the trickiest situations. Szmyd offers added value and will work with Basso on the tougher climbs: when we’re tackling the decisive stages and the group splits up, his help will be crucial for Ivan." According to several Italian cycling news sources the Director of the Giro d'Italia, Angelo Zomegnan, will be leaving that position. After a high level meeting including Director Antonello Perricone of the RCS MediaGroup, President of RCSSport Flavio Biondi, Director Michael Acquarone, and Angelo Zomegnan it appeared that Zomegnan would leave his post due to difference of views with the leaders and some mistakes during this last Giro (such as the descent of Monte Crostis which was deemed to dangerous and was eliminated from the race route due to a decision by the Panel of Commissaires; video of descent here). ). 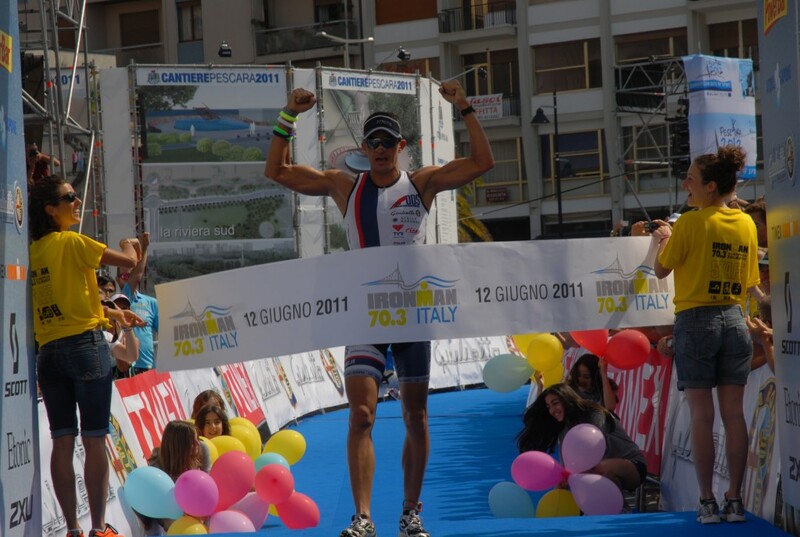 Mentioned is the possibility that Zomegnan will have a role in the World Championships that will be coming to Florence in 2013. His position may be filled by a pool of experts. Names mentioned: Mauro Vegni, Operations Director of the Giro d'Italia; Pier Bergonzi, journalist and author of several cycling books and editor at Gazzetta dello Sport; Silvio Martinello, gold medalist in the men's points race at the 1996 Summer Olympics in Atlanta, Georgia; Davide Cassani and Beppe Con­ti, TV cycling commentators. 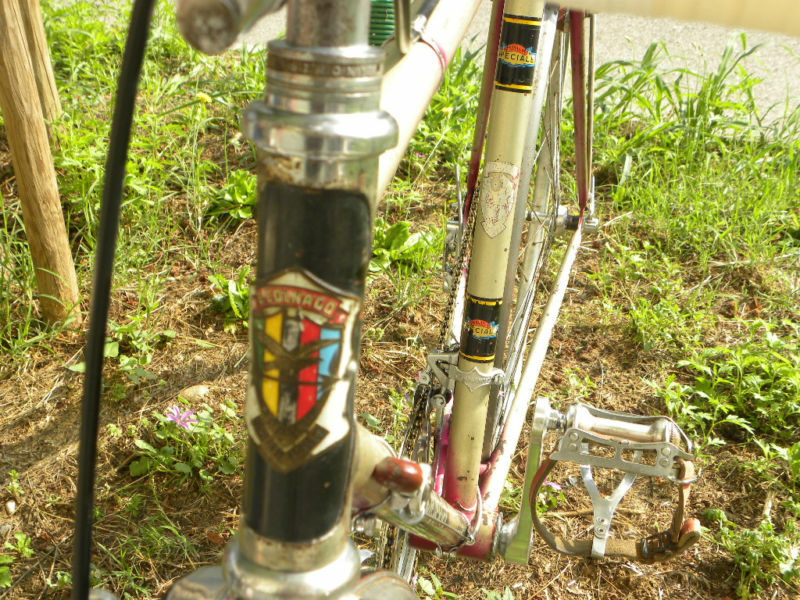 Early to mid-1960s Colnago bicycles are a very rare find. 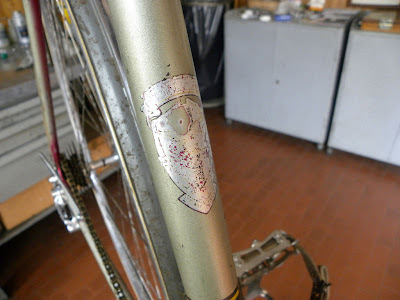 These had a head badge with "E. Colnago" and the model name, "La Freccia" with Cambiago underneath (related story here). So, when this bicycle appeared for sale I grabbed some photos. One thing we can ascertain with certainty: the inside photos were taken in the shop of Alberto Masi. The seller wrote, "This is a great Colnago Super Freccia bike from 1960(s). 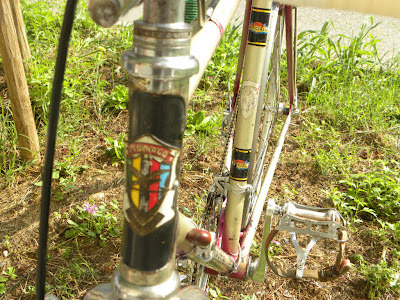 Few bikes of this kind have survived in original painting. The lugs were hand cast by the man who subsequently received his appointment as a " Cavaliere del Lavoro" (Knight Master Artisan ) of the Italian Republic. 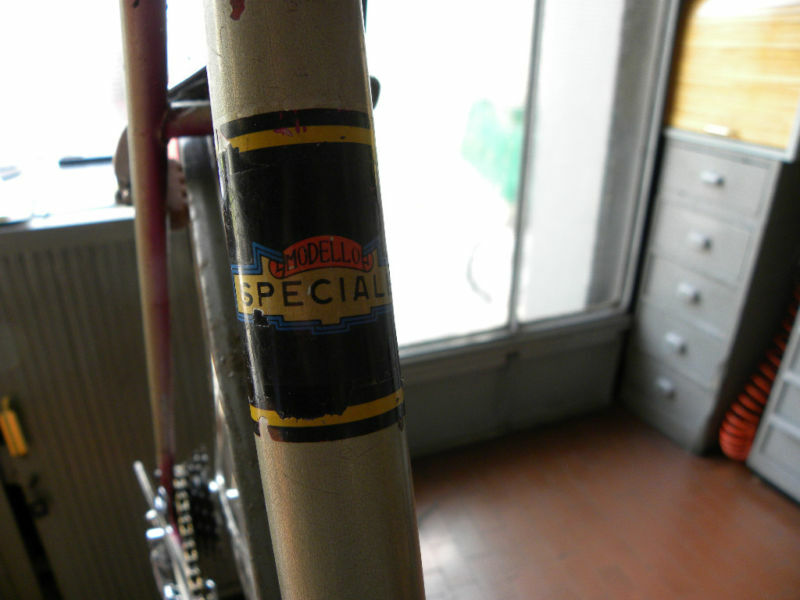 The bike has all the original decals and the very very rare original badge. 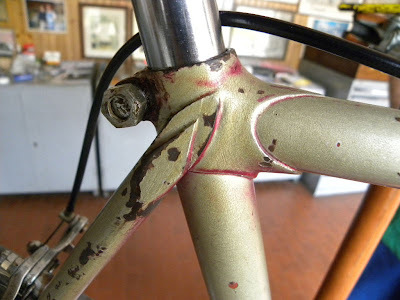 The kind of the frame looks like a second generation of the Colnago frame (you can see one Colnago pista bike of the first generation in original painting , 1958, on Classicrendevouz website ). This bike sports also all the original and period components like Campagnolo cranckset (50/46), Universal brakes, Campagnolo Gran Sport rear derailleurs, Bastia mudguards, Campagnolo pedals with Christophe toe clips and Alfredo Binda straps. We have also a Regina Extra chain and Regina Extra freewheel. The saddle is Cinelli Unicanitor and the bar with his stem are Cinelli in steel. The bike sizes are cm. 57 (c/t) or cm. 55 (c/c) x cm. 56,5 (c/c). 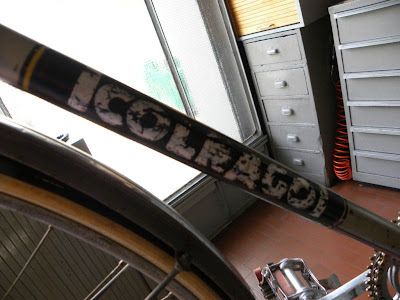 The bike has a great historical value for the Colnago brand." I thought it would be worthwhile preserving the photos. 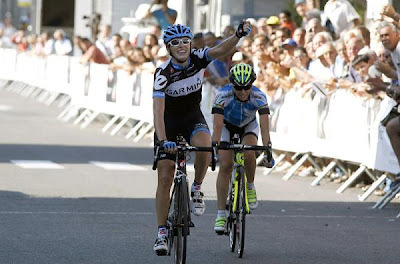 After a joint 30+ km escape in which Noemi Cantele (Garmin-Cervelo) and Tatiana Guderzo worked together in the Women's Elite national championship race in Milazzo (ME) the race came down to a sprint won by Cantele. Comfortable in third, arriving solo, was Silvia Valsecchi. Cantele, already a national champion in the TT, will also try to win the TT competition. 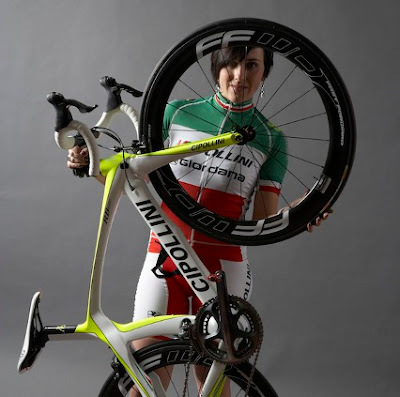 World Champion Giorgia Bronzini, coming off a very successful racing series in the USA, finished 7th. Monia Baccaille, hoping for a third successive victory, finished 10th. 3. 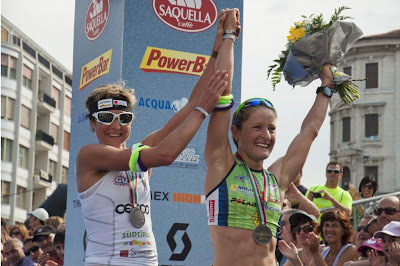 Silvia Valsecchi (Top Girls Fassa Bortolo) at 1'08"
4. Valentina Bastianelli (Vaiano Tepso Solaristech) at 2'19"
10. Monia Baccaille (Mcipollini Giambenini Giordana) at 4'12"
In a few days the Tour de France will start and this edition will celebrate the inclusion of the Galibier in the Tour 100 years ago. 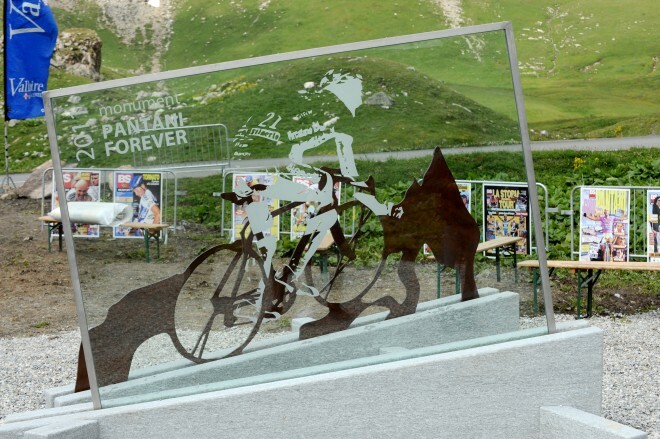 As part of the history of this mountain a new monument was inaugurated on Galibier on June 19th dedicated to Marco Pantani. It was on Galibier, on July 27, 1998, that Pantani made his ferocious attack against Jan Ullrich, then the yellow jersey, and relegated the German to nearly nine minutes in a day to pandemonium. The "Pantani Forever" monument is located at 2,301 meters of elevation on Galibier, the point where Pantani began his attack. The monument was created by Massimo Salvagno from stone from the Piedmonte region, from Luserna San Giovanni. (Part II of the video is here). There will be a special 18.2 km ride up the Galibier to the monument on July 23rd , details here. For this year's Tour de France the Galibier will be climbed twice after an interval of 24 hours. The finish of the 18th stage will be judged at the summit, which will be the highest finish in the Tour’s history, at an altitude of 2,645 meters. Stage 18 has three very big cols: the Agnel, the Izoard, followed by the Galibier. On Stage 19 will have Col du Télégraphe, Galibier, and then finish with the climb to Alpe d’Huez. "The Tour’s peloton had hardly recovered from the shock of discovering the Col d’Aubisque and the Col du Tourmalet, on its trip to the Pyrenees during the 1910 Tour. And now there was talk of a new summit to be climbed, another whim resulting from the imagination of Henri Desgrange and Alphonse Steinès, the adventure enthusiasts. In 1911, the Tour de France’s peloton began its assault on the Galibier which was even higher, even harder and even colder than anything that any of the cyclists had ever experienced. Out of respect for the prophecy of the Tour’s founder, cyclists have appeared before this giant for one hundred years with the same humility. Some of them have overcome it, and have even succeeded in using its steepests lopes to create a name for themselves. Gino Bartali, for example, succeeded in getting rid of the threat of Louison Bobet by dominating the Galibier, in 1948. However four years later, he suffered from the advent of the younger generation, due to the performance achieved by Fausto Coppi: “He’s like a cable-car on a steel wire rope”, said Jacques Goddet, with great enthusiasm, at the time. Subsequently, Bahamontes, Gaul, Merckx, Zoetemelk, Ocana and Pantani have all gone over the summit first, which has moreover increased by one hundred or so metres since the tunnel was closed and the new road was built. 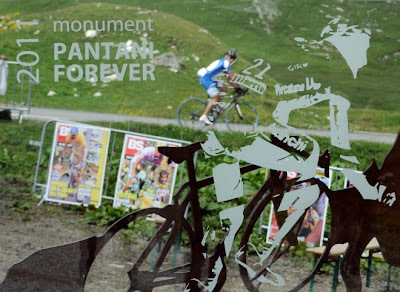 And in 2011, a new name will become legendary, with the first finish judged at the summit of the Col du Galibier. At an altitude of 2, 645 metres, it will be the highest finish in the Tour’s history." (source www.letour.fr)Note: current record for highest summit finish in the Tour is the 2,413m Col du Granon in 1986. The 94th Giro d'Italia which ended Sunday, May 29, with the triumphant arrival of Alberto Contador in Piazza Duomo in Milan recorded the most widespread global coverage in the race's history. According to estimates conducted by Eurodata TV Worldwide the 2011 Corsa Rosa has reached a potential audience of over 800 million viewers worldwide. In Italy, the Giro this year went live on RAI 3 television, RAI Sport 1 (with repeats on RAI Sport 2) and Eurosport. The total of the live broadcast on RAI were 184 hours divided as follows: 70 hours on RAI 3 (terrestrial digital and analog), 114 hours of RAI Sport 1 (DTT). The total cumulative audience on RAI reached almost 115 million viewers. The most viewed stage, 3,819,934 viewers (on RAI 3), was that of Conegliano - Val di Fassa and Gardeccia. The RAI website recorded 2,083,082 page views and a daily average of 24,963 unique users, +9% and +2% respectively compared to the 2010 Giro. Taking into account web data of RAI Sport1 and RAI 3 the Giro totaled 3.4 million page views. Gazzetta TV had an enormous increase in video streaming use, an 84% increase; live race video streaming was seen by 2,185,774. The 95th edition Of the Giro d'Italia will start from Denmark on May 5, 2012. The official presentation will take place on October 22, 2011. 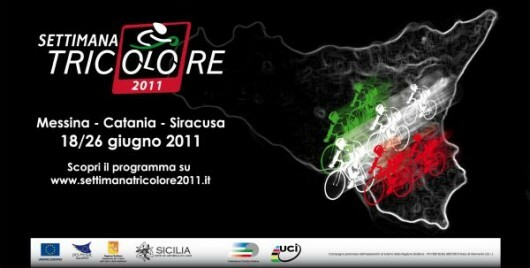 The "Settimana Tricolore", the Italian road championships week, gets under way tomorrow in Sicily. Sunday, Women's Elite TT, 28.7; also U23 (Men) TT 28.7 km; also Men's Professional TT, 28.7 km. The current road racing world champions are Giovanni Visconti and Monia Baccaille. Monia's wish: To win the Italian title for the 3rd time in a row which has been accomplished in the past only by legendary Maria Canins. The Men's favorites are Damiano Cunego, Vincenzo Nibali and current champion Giovanni Visconti. The FCI, the Italian national cycling federation, recently made a decision that all riders that have been sanctioned ( six months or more) for doping infractions in the past will be prevented from taking part in the Italian championships (and in the World Championships in Copenhagen 19-25 September). The biggest losers of this rule implementation: Ivan Basso, Danilo Di Luca, Stefano Garzelli, Michele Scarponi and Alessandro Petacchi. "Pillars of Italian Cycling" by Peloton magazine is a 35 minute video, here, featuring fi'zi:k, Castelli, Vittoria, Wilier, Bianchi and Carrera. Very interesting and high quality production. Don't miss it. "All is set for the first edition of Gran Fondo Colnago Los Angeles, taking place on Sunday, June 26, 2011 in Beverly Hills, with mass start scheduled at 7:00 am from world-wide celebrated shopping destination, Rodeo Drive. This premiere edition offers two routes, a long one (72 miles with 7100’ of climbing) and a short ride at 39 miles with 2100’ of climbing. The actual bike ride will start at the North end of the 400 block of Rodeo Drive and Little Santa Monica, heading North and then West onto Big Santa Monica to Wilshire, on the operatic notes of famous Italian arias, riding then he Ocean, embracing challenging ascents and hills, rolling through breathtaking views of the Pacific Ocean. A lively and authentic Italian lunch will be provided by celebrated Italian Restaurant Caffe` Roma, which will reload all returning cyclists’ carb levels, while VIPs are going to enjoy their very own special treatment with superlative wines, gourmet foods and delicacies in the best Italian hospitality flare. King and Queen of the Mountain will be announced in the afternoon. “The success of our events is based on our adaptation of the ‘Made in Italy’ theme for the American cycling community,” says Gran Fondo co-founder Matteo Gerevini. The four events of Gran Fondo USA are now part of StarTour family, which combine memorable riding experiences with unforgettable destinations. The 2011 series includes gran fondos in San Diego Los Angeles, Philadelphia and Miami, with more locations to be announced soon for 2012. "This event is a great opportunity to showcase the 'Italian Way of Life' in this part of the United States, fostering and promoting Italian excellences on the American market. A perfect conclusion of the “Dolce Vita” celebrations taking place in Beverly Hills that week," says Nicola Faganello, Consul General of Italy in Los Angeles. 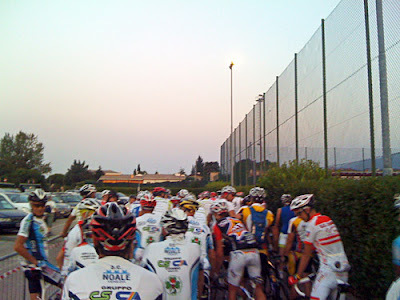 Gran Fondos (“Big Ride” in Italian), are long distance, mass-participation cycling events – not races – that are immensely popular in Italy. Participation is open to both recreational and competitive cyclists, and tens of thousands of riders of all abilities participate. Sponsors of the event include Colnago, Alitalia, FSA, Campagnolo, Fulcrum, Gaerne, Speedplay, Cuore Italiano, Villa Sandi, the Italian Trade Commission, GU Energy, Il Borro and Castiglion del Bosco wineries (owned by the Ferragamo family), Prologo, Maxxis, Italy Bike Hotel, Il Palagetto winery, the Beverly Hilton and the Beverly Hills Convention and Visitors Bureau. Proceeds from the Gran Fondo Colnago Los Angeles will benefit Team Type 1, the organization funded by Phil Southerland that began as a grassroots initiative to motivate people to take control of their diabetes using cycling as a platform. It grew to become a world-class athletic program for athletes with diabetes, including a professional men's cycling team, poised to compete at the 2012 Tour de France. For additional information, please visit www.granfondousa.com ." The new Wilier was initially set to be announced on May 18th. On that day a count-down timer appeared on the Wilier website indicating the unveiling would be June 15th. This date came and went and in its place is a new announcement: "Official presentation on 1 July". 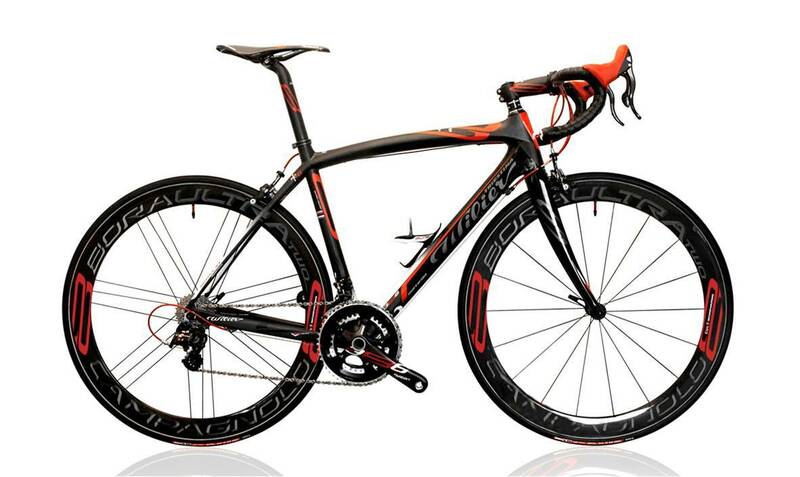 "Wilier are introducing a new high-end road bike called the Zero.7 that will be built around their lightest ever frame. It will not be used by Wilier’s pro team, Lampre-ISD, so doesn’t need to conform to the UCI’s minimum weight limit of 6.8kg. 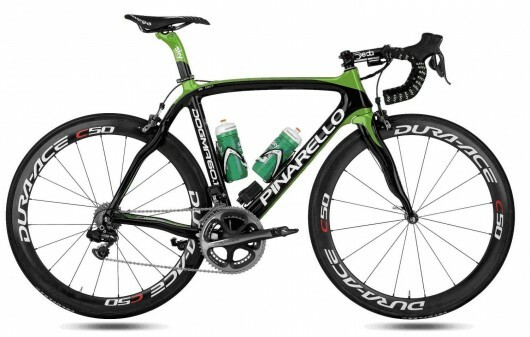 The medium frame, fully painted up, will weigh less than 800g, according to the Italian brand. The Zero.7 frame features FSA’s new press-fit BB386EVO bottom bracket system and the bikes will be equipped with a dedicated FSA chainset. The carbon fibre frame uses the same ZnO technology and 60 ton Mitsubishi materials as Wilier’s Cento1 Superleggera along with brand new SEI Film technology. SEI Film technology? It stands for Special Elastic Infiltration (we love a TLA – three letter abbreviation) and it means, so we’re told, that there is a film of elastic material between the carbon layers. Wilier aren’t saying what that material is; they’re playing their cards close to their chest on this one. • More vibration damping; more comfort with less weight. • Increased impact strength – by about 35%. • Increased safety with less weight. • Increased interlaminar shear strength (the maximum stress between the layers of carbon) by 18%; this reduces the possibility of the layers delaminating. • Increased three-point flexing strength; the material can flex 12% more without cracking. Wilier say the end result is a super light frame with exceptional stiffness and outstanding vibration damping properties. 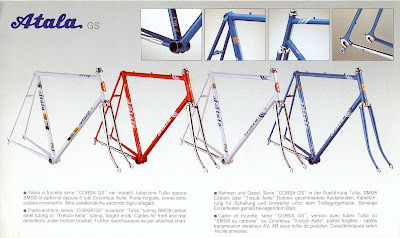 They are currently producing a limited run of framesets with a further production batch starting later in the summer. These frames will be available as complete bikes only, built up as pictured with a Campag Super Record groupset, a new FSA 386 chainset and Campagnolo Bora wheels. Only one colour option will be offered, and that’s the one shown above. It’ll cost you, though. The bike will retail for around £8,250 ($13,300; 9,300 EUR), although that price has yet to be confirmed." 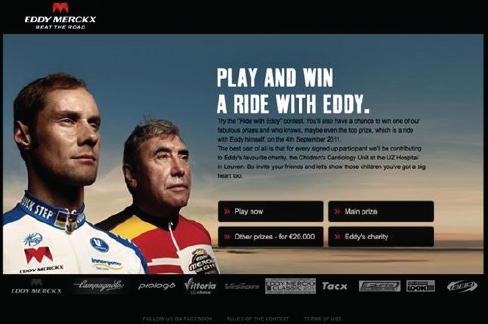 You can compete on the www.ridewitheddy.com website for a range of cycling prizes, with the top prize being a ride with Eddy Merckx at the Eddy Merckx Classic on 4 September in Salzburgerland, Austria. Furthermore, the winner can also take his authentic Quick Step EMX-5 Teambike worth € 7,795 home with him. The contest runs up until 1 August 2011. Everyone can participate once every day. Extra chances can be obtained by sharing the contest with your Facebook friends. Ride with Eddy is the slogan of the new Eddy Merckx Cycles advertising campaign. The underlying idea is that everyone who rides an Eddy Merckx bicycle also rides a little with the champion himself. Eddy Merckx was the first Belgian to win the Giro d’Italia in 1968 and went on to win another four Corsa Rosa. Only the Italian greats Alfredo Binda and Fausto Coppi have also won the Giro five times. My thanks to Gianmarco Dodesini Valsecchi , an Italian film maker doing work for several cycling companies, for sending a link to this film made for Vittoria. His production company, www.341production.com, will have it's website ready in several weeks; in the meantime Gianmarco can be contacted at info@341production.com. 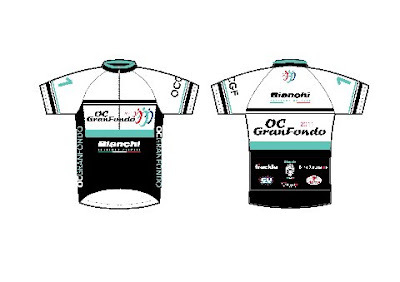 Bianchi has teamed up with OC Gran Fondo as the presenting sponsor of the OC Gran Fondo, to be held October 8, 2011. “We have grown quickly, and in our second year we are proud to have Bianchi join us as our presenting sponsor” says Cameron Jackson, director of the event. The ride is geared toward riders of all abilities with 10, 29, 64, and 102-mile courses, taking in Orange County’s network of bike paths, canyon roads, and beautiful Pacific Coast highway. The 64 and 102-mile courses offer a chip timed hill climb section up OC’s Santiago Canyon, with KOM prizes and jerseys awarded to the top riders. “As an Italian company, we are really excited to team up with the OC Gran Fondo to showcase our brand.” says Bianchi National Sales Manager Jim Stevenson. “This event offers us a terrific opportunity to support cycling on a level that a large majority of riders can relate to. And it’s a great opportunity to showcase our C2C line of bikes, like the Infinito, which are geared toward Gran Fondo riders." Francesco Moser turns 60 and the annual "Pedalata con Moser" (Ride with Moser) this Sunday, June 19, will celebrate his birthday. For the occasion many cycling friends will be present: Roberto Poggiali, Franco Bitossi, Gianni Motta, Felice Gimondi, Palmiro Masciarelli, Vittorio Adorni, Dino Zandegù, Gilberto Simoni and Maurizio Fondriest. The ride will take place along the roads of Valle dell'Adige, starting in Gardolo to Rovereto and finishing Gardolo di Mezzo. 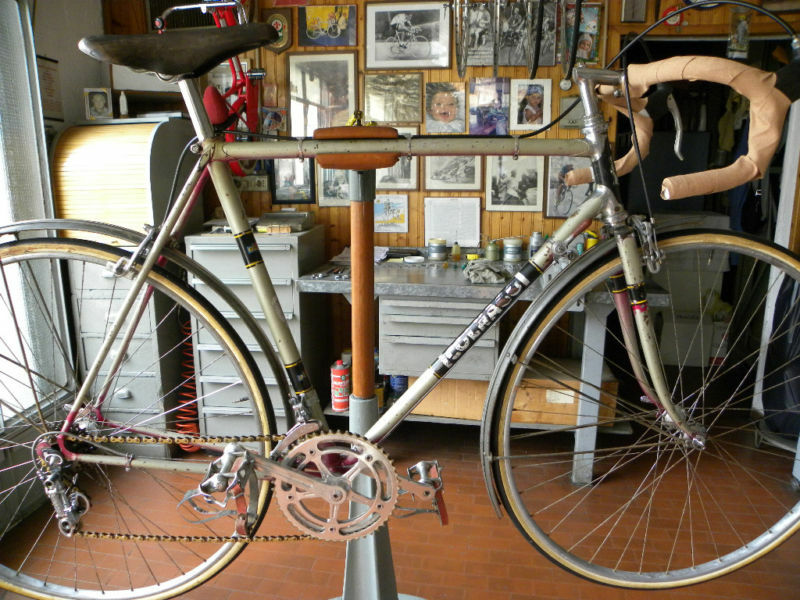 Moser's 261 race victories remains unequaled by any other Italian rider. ore 12.30/17 pranzo. Premiazioni ed intrattenimento musicale. 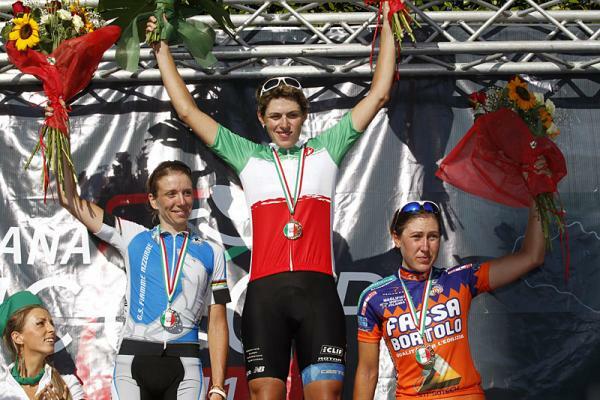 The 22nd edition of the Giro d’Italia Femminile (Giro Donne) get's underway on July 1st beginning in Rome. 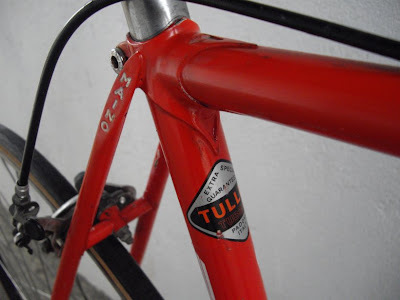 After writing about Columbus, Falck, Oria, and Castello Mario & Figlio of Torino, we move onto one Italian tube set manufactuerer I had not previously heard of: "Tullio" from Padova. 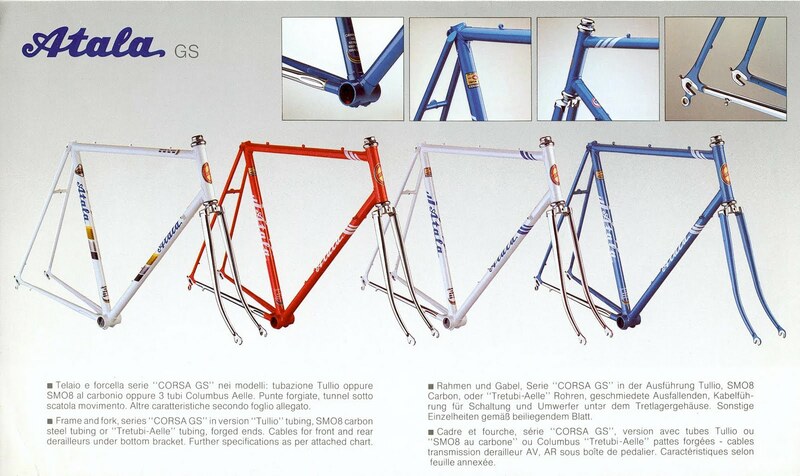 I don't have any details other than these photos which show a Tullio decal on a Maino and a page from an Atala catalog showing its use in the Corsa GS model. One source said, "Tullio tubing was an Italian straight-gauge, Hi Tensile tubing used on low to mid range Italian bikes made by Atala, Basso, etc.". If you have any additional information about "Tullio" please write to the email addess below. 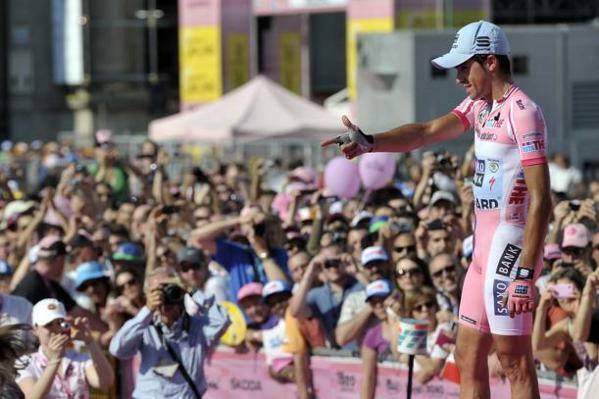 Alberto Contador, at his hometown ride of "I Marcha Alberto Contador", announced that he will attempt the Giro-d'Italia-Tour de France victory double. "Yes, I will go to the Tour de France, I know it's a difficult challenge," he said. "For 15 years nobody has been able to win the Giro and the Tour. The Tour is the best race and has the best riders. That motivates me." Contador tested positive for Clenbuterol during the 2010 Tour de France but has blamed the positive on contaminated meat. The case is now going before the Court of Arbitration for Sport (CAS) August 1-3. More background here; now the Tour finds itself in the same position as the Giro: Contador could win only to have his victory stripped. 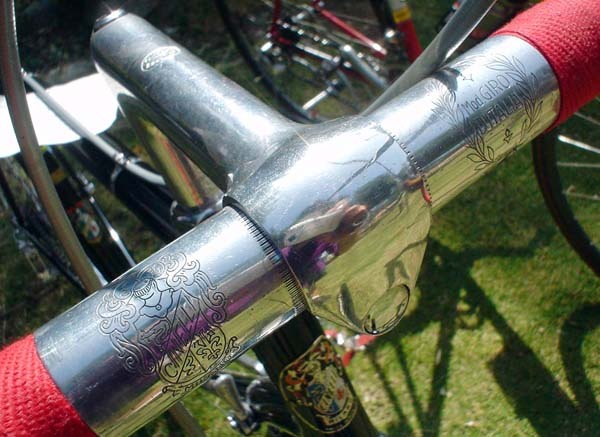 Cinelli is set to re-issue the iconic 1A stem that was first introduced in the early 1960s. The stems will be available for purchase in late August or September. Good news for those that undertake restoration projects, are building a new retro bike, etc. "Bullet is a range of high-profile carbon wheels with an aluminium braking track launched in the market in the Ultra 2-Way Fit™ version as the first alu/carbon wheels for tubeless clinchers. The range of Bullet wheels was created to be a benchmark in its category for being lightweight, aerodynamic, high performance, practical, responsive, as well as for their design. Two types of wheels: Bullet and Bullet Ultra, an extensive range where each rider can find the best suited wheel for their needs. Bullet Ultra will be available in 3 different heights: 50mm, 80mm or the extreme 105mm. And there's more: for each wheel height you can choose between two different profiles (clincher or the exclusive 2-Way Fit™ system) and three types of ball bearings (Standard, USB™ and the innovative CULT™ technology). Bullet Ultra will be available in all heights (50mm, 80mm and 105mm) in two colors, Bright Label and Dark Label. Bullet will be instead available in two heights (50mm and 80mm) in one color with two bearing options, standard or USB. Bullet 50mm will also be available in the CX version dedicated to the cyclocross world with a special double crankset that protects the ball bearings from water and mud, allowing for consistent performance over time." 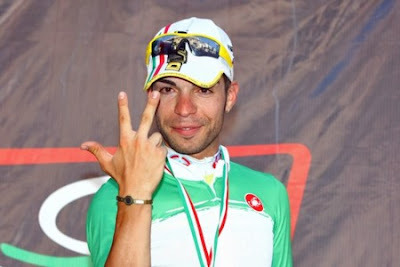 Andrea Noè has retired from cycling and now has become a blogger at www.andreanoe.it; it's in Italian. 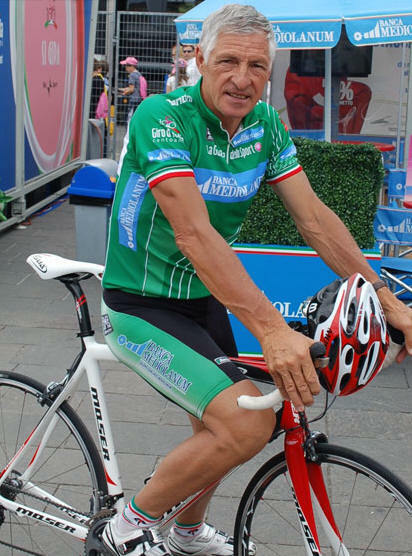 Noè began his professional cycling career in 1993 and retired after this year's Giro d'Italia. 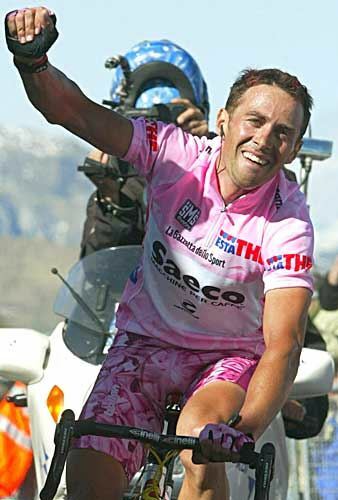 In 2007, at the Giro d'Italia, the then 38 year old Noè took the leaders pink jersey on stage 10 By doing that he became oldest rider ever to wear a leader's jersey in any of cycling's Grand Tours. He held onto the jersey for a second day before relinquishing it to Danilo Di Luca. Today's entry is "Absurd" in which he describes a visit this week by the WADA anti-doping officials that rung his doorbell to take samples for the biological passport. This, inspite of having announced his retirement from cycling and advising the UCI, WADA, and all official bodies, that he has retired. However, as his professional license doesn't expire until 31 December the controls continue. Noè asks, "Do they have so much money to throw away, to analyze a former athlete? It would be better to better control the cyclists that are at this time preparing for the forthcoming major competitions." 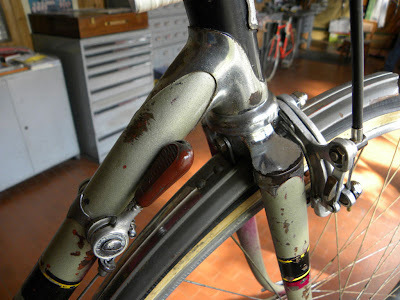 If you can read Italian I believe Noè blog will be of interest. 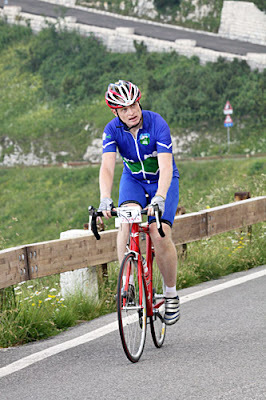 My thanks to Jerry Nilson for allowing me to use his ride report of the Monte Grappa Challenge of 2010 (below). Jerry also added, "I am currently most proud of my list of the highest paved pass roads in the Alps, with maps of all possible approaches for the first 100 (and hope to add more maps after this Summer). This list is more researched than any other similar list available anywhere. I have no gradient profiles though, but there are other good sites for that.... I hope to get a book or two out eventually on cycling in the Alps ." Jerry's website is www.cycloclimbing.com. "The bad thing this morning was that I could not sleep so long, but the good thing was that I didn’t have to bring my backpack with me. This was the day for the Monte Grappa Challenge event. This event is more like a randonnée (or a ‘brevet’) than a race, but it is not tied to the odd rules associated with those events. You cannot start before people are at the start to stamp your control card (see end of the page) that you have to carry with you to stamped along the way at control points. Then you can start when you want during some hours in the morning and you have to be back before midnight at the latest for the last stamp. Depending on how ambitious you are and for how long time you want to spend in the saddle, you can choose to climb Monte Grappa 2, 3, 4 or 5 times during the day from different starting points. There are actually ca. 10 possible different starting points for reaching Monte Grappa on a bicycle, but the most popular 5 climbs have been chosen and the first three are among the four hardest climbs up there, while the last two climbs are a little easier. I asked some of the others when they planned to start and it seemed like they should be going up at 4:30 am and start at 6 or earlier. I decided to put my alarm on 5 am, which I figured should be enough to shower (I always shower in the morning and shave to feel better and get a bit warm), get breakfast and get down to the start at around 6. I was apparently one of the last ones to get breakfast in the morning (and there was not so much to eat). The hotel I stayed at were the one suggested to use by the organisation and it was ok, but not the best hotel I have been to. Then I checked that I got my pump and camera with me and off I went down to the start. There were many people down there (slightly south of Romano d’Ezzelino (134m)) and they let go of groups of riders with some minutes between them. I managed to borrow a real pump and get the pressure up in my tyres, which was about time and it always feels better to have enough air on quick descents. I got my card stamped and lined up for the start and took the first photo here. I do not remember when we started exactly and I may have turned on my cycle computer when I left the hotel, but it was around 6, I believe. I had calculated a little on the estimated time for completing the whole challenge of five climbs and thought that I could do it in ca. 13-14 hours, based on my time of 9h17mins for completing the Ötztaler radmarathon (220 km, 5200m). However, I decided to take it easy at the feeding station at the top and go somewhat careful down the roads and the challenge turned out to be a bit harder than expected, so it took more like 17 hours including breaks (maybe 15 hours cycling time). If I had known this before, I would likely had started a little earlier still, so I could have made the last descent without lights. Actually, it was only when I was on my 4th climb that I realised that it could get dark before I had finished. Maybe I could have done it in 15 hours total, if I had treated it as a race, but luckily this was not a race. One must remember to measure cycling time in height metres and not distance in the mountains. I took off in good speed and no one went away from me until the first stop for a second stamp at the foot of the first climb. It was nice it was not a competition in that people took things a bit more easy and were more friendly – especially important at this first control station with lots of cyclists that wanted to get their card stamped quickly. There were still a sense of competition to the event and people went really hard up the first climb, including me. I thought it was quite fun, but had a problem with the squeaking sound from my bicycle that I cared less about when on my own, but now got painfully aware of and others too … especially as it got really steep here. That aside it went really well for quite some time up this first climb up the Salto della Capra where I found a good rhythm and passed by many more than passed me by. I had not studied this climb in detail and was surprised to find that it got really steep toward the end in two sections where the last was the hardest and here I had to slow down for sure. This is probably the location where they took the first photo of me here. Somewhere here a guy came up saying “hello Jerry” and it turned out that it was Luciano that I had met down at the Liguria BIG meeting in September the year before. A nice guy, who unfortunately is as bad in English as I am in Italian. I think he passed me by here on the steep section and I did not expect to see him again, but later met him at the top after the second climb and wondered if he might have done three climbs already, but thankfully he was not that much better than me and the increasing temperatures had taken the toll even on him. There is a long nice road from Vedetta/Sella d’Archeson (1445m) at the top of the first climb to the next part of the climb up to the Monte Grappa (1730m). You can see this stretch in the second photo here above. Here people still had a lot of strength and many came by quickly here (probably some better riders starting a bit later). 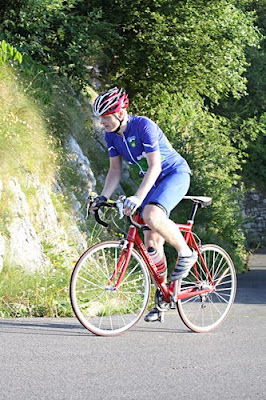 However, I decided not go too hard here as the other speedier guys might not plan to do the climb more than twice (as most did, I think). It was nice getting up to the top and this first climb made me wonder if I really intended to do five climbs like this. I thought that I start with doing the first two climbs and that I would decide then what to do. We went down the main/normal road to Romano d’Ezzelino (SP 148) (167m) and this is a fast and nice descent. Then a stamp in the card outside the ice cream café. I looked around for someone else knowing the road to the next climb as I had not memorized this one, but there were also some signs helping us and this was the only climb that could be a little difficult to find (the first was easy as we were so many cyclists going together). Of course, I had the road book with me, but you do not want to stop and study that if you do not have to. The next climb from Semonzo were not much easier than the first and now it was getting hot outside and we had the first climb in our legs. This climb is highly irregular on a narrow, but good, road and becomes harder higher up, just like the first climb. 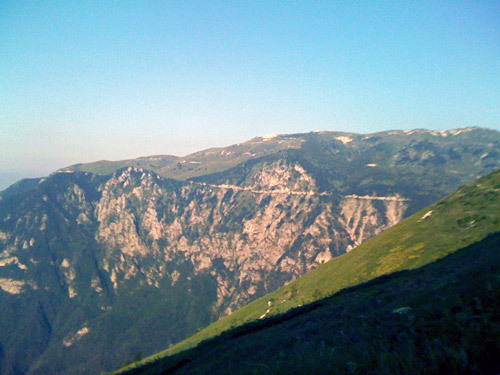 This is a tough climb that has been used in the Giro d’Italia. The second photo of me is taken high up on this climb and I apparently look after where the top could be as I was getting quite tired here. Some guys offered water here, but I was drinking a lot at the top and did not need to drink so much along the climbs. Finally I got up and it felt like I had done the worst and I surely had. I talked with Luciano and took some time eating pasta, drinking large amounts of coca-cola and probably taking things a bit too easy until I had to decide to go down again for a third climb. I guess I was waiting a bit as it was getting quite hot and wanted to recover some before continuing. The bar at the top had all that I needed and it was well located given that the weather was warm (in cold weather I am not sure it would have been such a good idea to have the only feeding place at the top). It was quite nice up here too as seen in one of the photos. I wished I had a bit more time exploring the monuments at the top. The third climb would prove to be the hardest one of them all. I had decided to make at least the three first climbs before throwing in the towel, so this I just needed to do. Luciano and many others gave up after the first two climbs and even many Italians had problems with the heat this day. On the way down, the heat is never a problem however. Now we went down the north side of the mountain to Caupo (332m) on a road that was not always in perfect condition, nor was it always descending and it took me probably the double time to some of the best guys to descend here. It took exactly one hour to descend when I measured it one of the two times we went down this road and I believe that was likely the lousiest time down here. I did not like to descend this road a lot, but there were nice views along the road. Down in Caupo, I got a stamp again from a French speaking man (I believe). It was now in the middle of the day and it was the peak of the heat for the day. We went up the long flat valley from Seren del Grappa on a tiny road that looked like it would soon hit the end as the mountain ahead kept closing in on us, while the road remained flat. That was ominous! Thankfully there were a well placed water tap just where the real climb starts and almost all stopped here. The climb from Seren del Grappa has only one shorter hard section and that is the one starting here and although it is shorter than the steep sections on the other climbs, this is likely the steepest of them all, with the possible exception of the hardest climb up from Possagno that was not part of this MGC for some reason, but maybe it would be a bit too hard and steep for some with up to 27% on a less good road (from what I have read). This climb has a section of ca. 2 km with an average inclination above 20% or so I would believe. The section is also rather rough with some tricky drainage gullies. Once again I was up at Monte Grappa, but now the weather started to look less good and I also noted that it was longer between the riders. It all felt like the event was wrapping up and that most had been going faster than me who had decided to do all the five climbs or they may have started earlier. 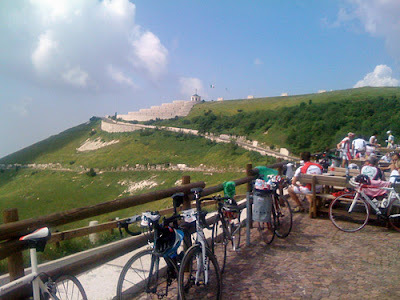 It seemed anyway that most of the cyclists I had seen on the third leg was not really planning to do all the climbs. I could end the pain and have a nice afternoon like the others or do two more long climbs. Well, I do not stop cycling this early in the day I thought, so let’s take one of the climbs at a time and see how it goes, I thought. It was a lonely descent once again to Caupo, looking at the dark clouds over the Asiago plateau and wondering if they would come to visit Monte Grappa. I met some riders coming up as this fourth climb was down and then up the same road to/from Caupo. The first I met looked really professional and went in a quite good speed. I could not remember having seen many of them before though on the climbs. Later on I still met people, but it was further and further between them. After what felt like a lifetime, I was down yet again in Caupo and got my stamp and decided that what the hell – I am going to have a coffee at the café here. Thus I ordered a double espresso (good one) and one other guy came down and went away before I took off again. The coffee seemed to have helped! For some mysterious reason I felt stronger than ever before during the day and I went in a furious speed (really) up again, feeling this was the last visit down this far side of the mountain. The whole climb back up took 2 hours for the 29 km, which I think is quite okay, especially given that the descent took 1 hour. I passed the guy after some kilometres and did not have to look back after him as few would be able to follow me up here this day. I slowed down a bit after Forcelletto. The clock was 16 when I was down in Caupo and thus it was 18 when I was back up at the top. It all seemed like I should have time to go down for the last climb and be able to do all while it was light outside, but the distances here are big. The chief organiser of the event, the very helpful Ivan Contiero, seemed to be everywhere and was up at the top again and he suggested that I went by the hotel on the way down to get my lights and suggested I took a short-cut there. Well, since I had already done the first four, why not complete the challenge and do the last one too, which should also be the easiest of the climbs. I decided to take my time and just focus on completing the challenge. Fully loaded with pasta and coca-cola, I went down again on the road that we climbed on the second time going up. I found that it was a bit dangerous going down this road after four climbs when one is tired as this descent is quite technical with many dangerous spots along the descent. But likely the Italians had no problems with this, as they seemingly never has a problem going down full speed on any road. I wondered why there was not more people coming from abroad as this is quite a nice event, but this is only the second year that it has been taking place. Eventually, but not very quickly, I got down again to Romano d’Ezzelino and found a short-cut, but likely not the one Ivan had suggested, to the Dalla Mena hotel (252m) and collected my lights and went down to the ice cream café for another stamp, where they wondered why I was coming from the wrong direction – I blamed Ivan and explained about the lamps. Then it was back up the main road and most classic climb of the Monte Grappa which starts just here. This climb has two sections with an easier stretch in the middle. When getting to the middle section two guys in green and blue ribboned jerseys passed me quickly by and I got a little irritated thinking I was overtaken by some locals out for an evening ride. So for some odd reason I decided I had a little power left and decided to pull a joke on them and speeded up and passed them by in good speed myself. They looked a bit surprised and after a while they came back passing me by again and then I noticed they indeed had MGC numbers on their bikes and looked like they had been riding for a while after all. I thought that I better let them go as they were obviously faster than me, but wise of climbing in the mountain, I know that most people tend to go fast when taking over over riders, but may not be quite as good as the climb continues. I noticed the second guy was just about hanging on to the frist guy and decided to cling to the second guy for as long as I could. After a while this became easier even if he tried to get up in speed and join his friend who was trying to keep the speed up, but eventually he had to wait for his friend and me. For the last stretch I felt better again and had no longer any problem following them. It also helped that the climb was even and not too steep. Thus we managed to get up without lights on, but it turned dark as we came up for the last stop. We actually met a few riders getting down that cheered us on on the way up, so there were others still out here. The first guy, Giacomo, took some photos, one of me here on the last stretch up the last climb that he later sent me. Ivan asked me at the top if I thought it was a good challenge and I jokingly said well, I would likely have to look for something a bit more challenging for the next year, but in all honesty it was a real challenge and so I said. We talked for a while and they said that of course we go down together, but when I explained that it might not be a good idea and said it took me one hour down to Caupo, both Ivan (listening in) and the guys were confused how I could have taken so long to get down there and decided that they go down alone, which was likely good as my lights were also not so good for going fast down in the dark. I asked at the finish if they had seen the guys and they had been there like 15-20 minutes before. Even though I went slowly down the first part, I was lucky to get a car behind me that lighted the road for me and after a while I realised that he did so on purpose and went as fast down as I dared (could not go too fast when being this tired). I guess he would not have been down much quicker even if he had passed me by. I waived my thanks to him at the crossroads in Romano and continued the short stretch down to the campo sportivo where I was around 23 something. I stood there talking for long with a nice man and was trying to get down a sandwich that I got hold of, but it was difficult eating dry bread now. After this I went to the late opened ice cream bar and had a big ice cream and coca-cola. I met a tired old man completing this long challenge at the crossroad asking me for where to go for the finish. 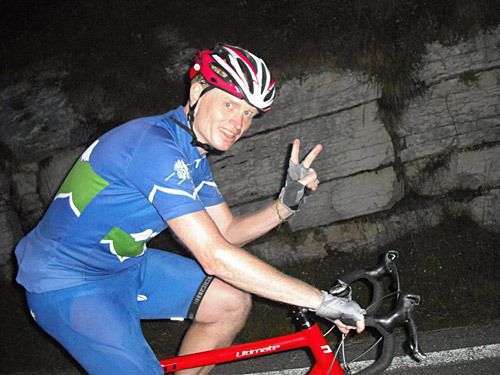 I was happy with having completed the challenge and went back to the hotel to wash my clothes and prepare for the next day which was supposed to be the Gran Fondo Pinarello, with another climb up to Monte Grappa from Treviso in the morning. This was what I had paid most for so I had an incentive to go there. 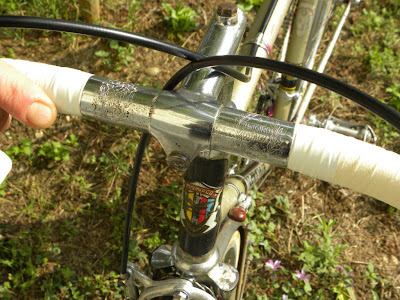 I set my alarm clock on 4 am, in order to be able to get down on the bicycle to Treviso in time in the morning. However, I woke up only an hour later due to a fierce blizzard, rain and storm. I again woke up at 4 when the alarm went off and looked out the window, but it was still stormy weather and I decided that there is a limit to my endurance and went to bed. Not sure how many actually did both the five climbs and then the Pinarello, but likely less than 5 people at most. I think only 30 people or so completed the 5 climbs out of the ca. 300 that started, but have no exact figures. I later (after I returned home) bought some nice and good cycling clothes for the race. The Monte Grappa Challenge is a highly recommended challenge!"